They are not something you do. They define the way you think. “If you can’t measure it, you can’t improve it”, reads a popular saying in management coined by Peter Drucker. When it comes to making peace with our bodies and the food we put in our mouths, the saying would go “if you aren’t aware of it, you cannot change it”. In order to achieve food freedom (a state in which we enjoy food and feel comfortable in our own skin) we must focus our efforts on transforming the way we think, not the way we behave. Our attention must shift from the self-control to stop eating or the willpower to go to the gym everyday, to questioning the beliefs that brought us to resent how we eat and look in the first place. Gaining awareness about our beliefs is what enables this transformation. I’m a victim of this mindset myself. It happens when I want to go against my hunger in the morning simply because I ate too much the night before. It happens when I feel bad that I ate too much at lunch and I think I must “correct” it in my next meal. This would be okay, except the motivation behind is to “discipline” myself or get “back on track”, not a response to the feeling of fullness, for example. I intend to “dissect” the diet mentality to help you understand how the different parts of this social creation limit our capacity to enjoy food, our body and life. The dichotomy good vs. bad is the foundation of the diet mentality. The diet or restriction state of mind is based on the idea that there’s a right way to eat and a wrong way to eat. There’s a right type of body, and a wrong type of body. We diet because we want to “correct” or “fix” something that we consider defective: our body shape and size, and our eating habits. When we behave within the boundaries of the diet mentality, we only see foods as “fat-making” or “thin-making” foods, ignoring their nutritional properties. Penalization results in the creation of rules that we must abide by. When we wear the “diet hat”, we penalize specific foods, amounts, food combinations, and even times of the day! We penalize everything surrounding the act of eating and create threats, commands and prohibition that filter our experience. Feeling guilty and shameful is a consequence of the self-judgment that occurs in a diet. We feel frustrated because we cannot follow the rules. “What the hell is wrong with me?! Why can’t I get a grip on my eating? !”, we ask ourselves. Just as inflicting fear and shame to get a child to obey isn’t a good educational technique, keeping ourselves in line through shame and guilt only lowers our self-esteem. Because the goal is fixing the shape and size of our bodies, we believe that being fat is bad, defective, undesirable. Even saying the word “fat” is seen as something wrong or offensive. The diet mentality tells us that anyone who’s fat is necessarily unhealthy; that anyone who’s fat is lazy, undisciplined and lacks willpower. The best way to achieve food freedom is by gaining awareness and challenging the beliefs and rooted ideas that determine how we feel and think about what we eat and how we look. Next time you eat, exercise or look at yourself in the mirror, pause and think how are your actions or judgments a result of the diet mentality. In which ways are you a victim of this mentality? What’s the motivation behind what you eat (or don’t eat)? 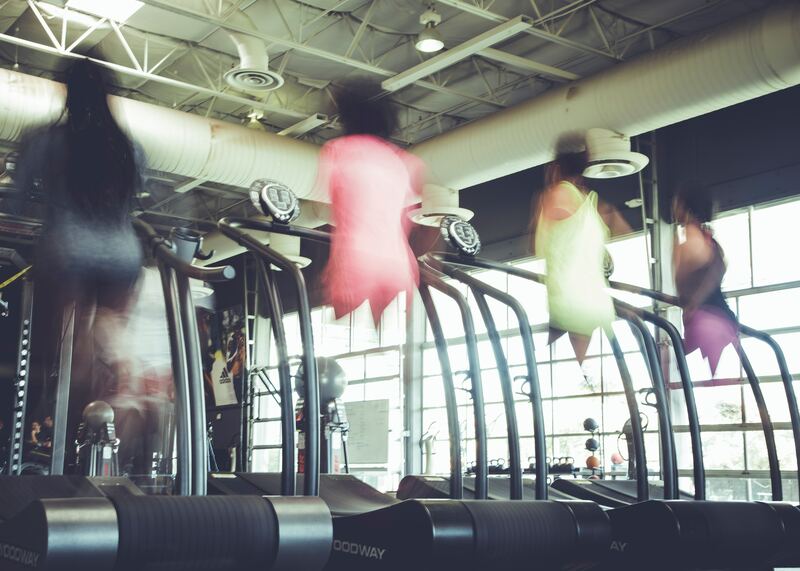 What’s the motivation behind your workout? Is it burning calories and inches off your waist? This is how we transform the way we think and, as a result, our behavior. Remember the solution is not in having willpower, nor your capacity to be disciplined. It’s in the way you think. Get in touch if you’re wondering how to start your own journey towards food freedom.